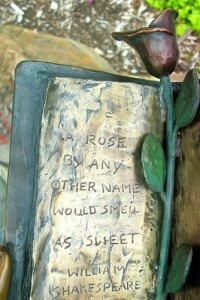 This entry was posted in Art, Sculpture on March 18, 2012 by Alan Bates. Very, VERY talented! It’s a gorgeous sculpture! A generous donation to a place she loves. Oh, talented indeed and a gorgeous, fantastic sculpture! Really breathtaking and I love your captures, they’re perfect! Enjoy your day! You sure have some pretty girls hanging out in your parks. 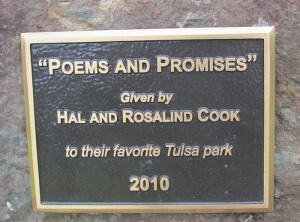 You have some magnificent statuary in Tulsa – it must be wonderful for visitors to come upon the various works. Thank you for sharing. Ohhhhhhhhhh, this is beautiful Yogi!!! The photo looks like a vintage postcard – I like it! She’s lovely! 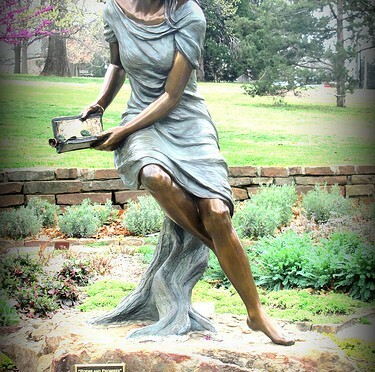 (The statue … I’m sure the artist is too obviously)!! 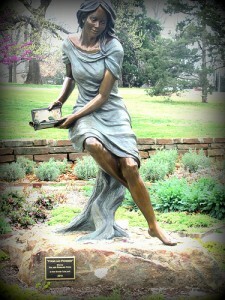 You show us the statue, the book, and the dedication – everything. The sculpture is lovely even more so because color has been added into the bronze. Unusual I think.